This winter has been a particularly rough one. Persistent cold temperatures and incessant snowfall and precipitation have been rough on buildings. 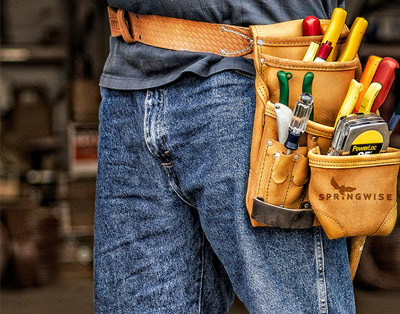 As a result, property managers need to take extra precautions and consider the best repairs to make at the end of the winter. Perform Roof and Gutter inspections. Snow, water and wind have been wreaking havoc on roofs and gutters for months. Now is the time to assess the condition of roofs and gutters. If any roof gutter damage is present you could be looking at costly restoration and water mitigation repairs down the road. Leaky roofs and gutters can go unnoticed until it's too late, often times improper drainage leads to costly water damage and repairs. 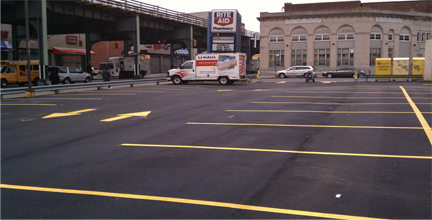 Look for any Parking lot or Curb damage. Snow plows can leave their mark on properties in a hurry. If curb stakes are not used, or if unseasonable snowfall amounts occur, plows can break curbs, cause pot holes, damage buildings or tear up sod. Know what damage is new and what isn't by comparing a post-season inspection to your pre-season walk-through notes. The key is understanding who is responsible for what damages and make necessary repairs promptly. Caulk any leaks. Look for any leaks that have been caused by winter weather. Whether it's the roof, siding, windows or doors filling in leaks with caulk will keep water, bugs and mold out. It can also make heating and cooling systems more energy efficient. 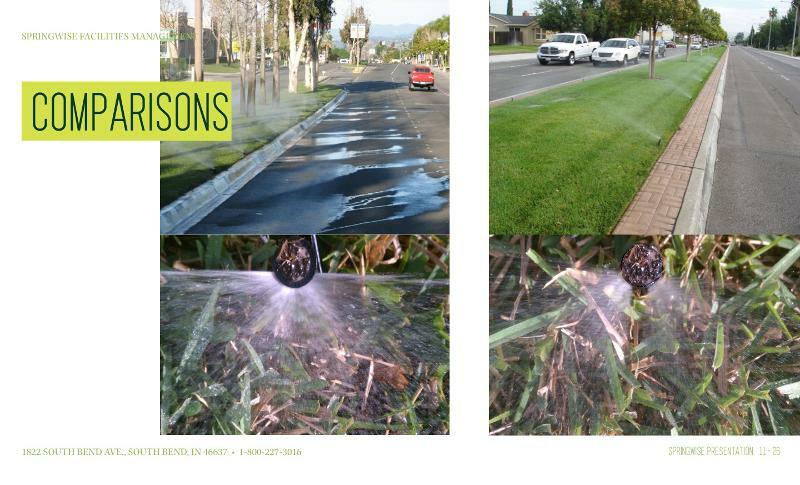 At Springwise we have become an industry leader in water conservation. We estimate our direct impact on water savings through partnerships with many leading manufacturers and customers to top 215,570,000 gallons of water. That's enough water to meet the demand for 2,300 American families for an entire year. Additionally, we pledged to donate $25 for every maintenance request we received on Friday March 21 in observation of World Water Day. These funds will help establish new wells and well rehabilitations at schools, medical clinics, and churches and community centers in Kenya, Sierra Leone, Uganda, South Sudan and Rwanda. We are happy to announce that we raised $2,725.00 to help bring clean water to those in need. We will continue to advocate water conservation and through participation of our suppliers, we hope to achieve our goal of funding an entire rehabilitation project. For more information visit our fundraising campaign via The Water Project. Call today to get more information about our Irrigation Retrofit program for 2014 or to schedule a free water savings analysis. As facility managers we are often called upon to act as stewards for the general public, especially when it comes to looking for ways to lessen our societal impact of natural resource management. While it is always important to try to use our resources effectively, water efficiency and conservation is coming to the forefront of our environmental concerns as crises like the Drought of 2012 or the chemical spill in West Virginia occur. Drought happens somewhere in the U.S. every year and, in September 2012, 65 percent of the country was in drought. Drought is sometimes called the slow motion natural disaster. Economic losses due to drought in 2012 were in the billions and many communities struggled to provide important water services. Additionally the impacts on retail food prices occurred in 2013. 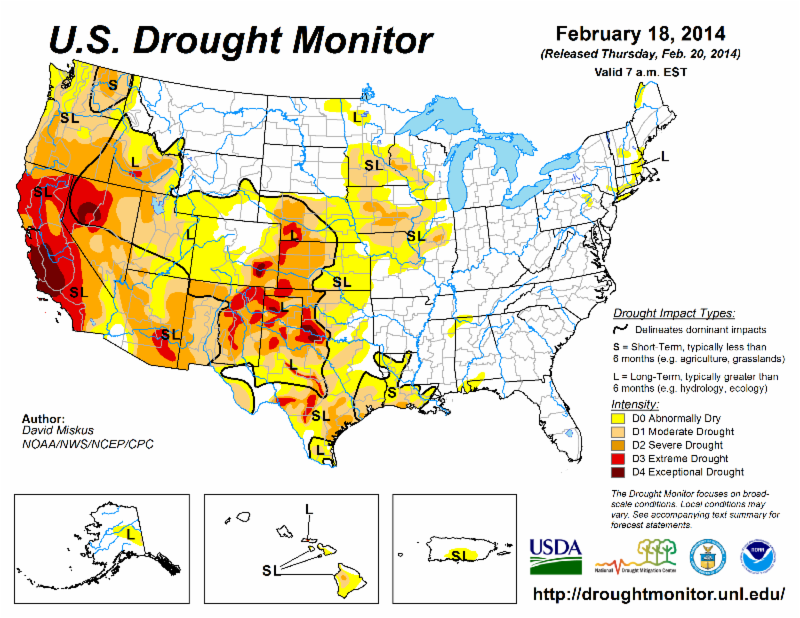 Currently there are portions of 32 states with abnormally dry to drought conditions with California, Nevada, Colorado, Oklahoma and Texas all having areas with Exceptional Droughts. For more information on current drought status visit www.drought.gov. Using a water-saving plumbing fixtures can save up to 500 gallons a week. Choosing a WaterSense models when replacing appliances and machinery saves up to 20 gallons per use/cycle. Using a low-flow nozzle where applicable can save more than 100 gallons of water. 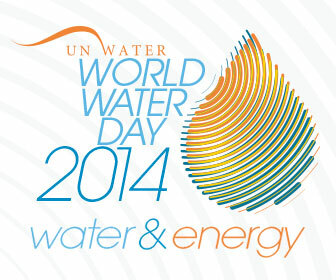 March 22, 2014 is World Water Day. Identify the most important water or energy issue or challenge in your organization and commit to making 2014 the year you do something to change the trend of increasing water waste and consumption within your organization. Call for assistance with potential solutions or for a demo and analysis of our water conservation solutions. Interested in Part 1 of our water conservation series? It's available online here. There is a strong business case for improving water efficiency in commercial buildings, beyond the direct savings, that is often times overlooked. Reducing water use can lower the costs associated with operating and maintaining equipment, as well as the energy needed to heat, treat, store, and deliver water. Over the past ten years, the costs of water and wastewater services have risen at a rate well above the CPI (consumer price index). Facility managers can expect these and other utility costs to continue to increase in order to offset the costs of replacing aging water supply systems. Carrying out and communicating water efficiency efforts can position companies and facility managers as leaders in their community who are helping to improve sustainability. It can also help them pursue recognition in the green marketplace. Install or upgrade water meters in strategic locations of your facilities portfolio. Read and record water usage and analyze the data. Look for high water usage buildings or areas, trends, unusual occurrences etc. Understand your water usage picture and what is driving it. Determine cost and potential ROI. Develop a phased plan that fits your budget and obtain funding. Implement, execute and measure pilot programs. Evaluate pilot programs for wider adoption. Simply creating a formal plan, communicating it and continuing to reinforce it can lead to dramatic water usage reductions. Increase employee awareness of water usage and conservation efforts. 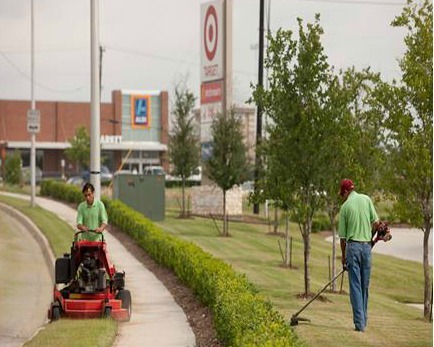 Communicating your sustainable practices to your customers can capture additional savings. Post signs. Increase visibility. Publicize your plan and the impact it is having on reducing water usage. It's never too late to save money with our water conservation initiatives. With winter upon us, and as we race through the holiday season, we have compiled 5 useful tips to help optimize maintenance and costs around the end of the year. These are all practical items that you can use in your facilities and at home. 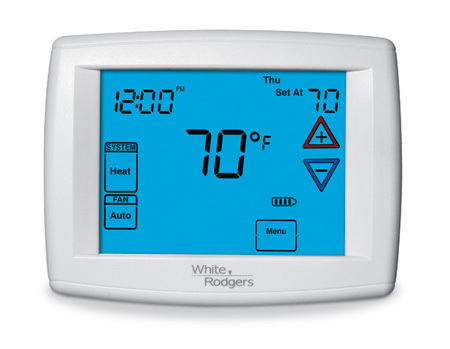 Reduce your set point on your thermostat. For each degree you lower your thermostat (for heat), you will lower your energy bill by an average of 1%. This is one of the easiest ways to reduce energy consumption and operating costs. Use ice. This time of year many facilities have plants and decorations that need regular watering. Take an alternative approach and use an ice/water mix. Potting soil dries out quickly due to heat by absorbing water in the air, wood, and anywhere else that inherently holds moisture. 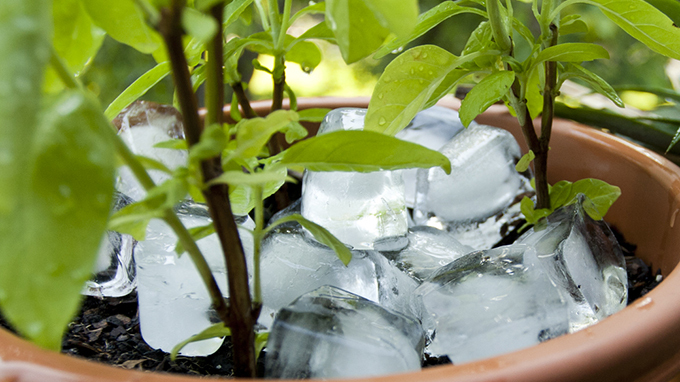 By using an ice mix, you allow the ice to melt and continue to water plants over a longer period of time. This also has the hidden benefit of helping keep a little humidity in the air. Make sure you have the right floor mats. 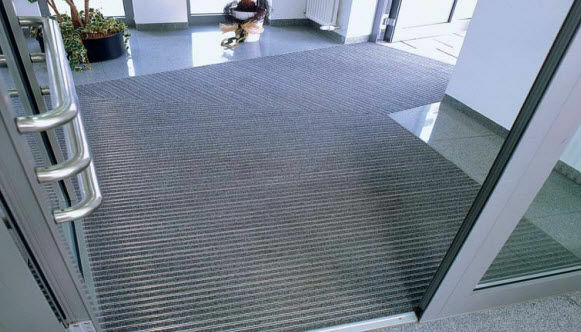 The right floor mats are the first line of defense to keeping dirt, sand, snow, salt, ice-melt, water etc. out of your facilities. Approximately 80% of all dirt enters your facilities through the front door. Inspect exterior doors and windows. 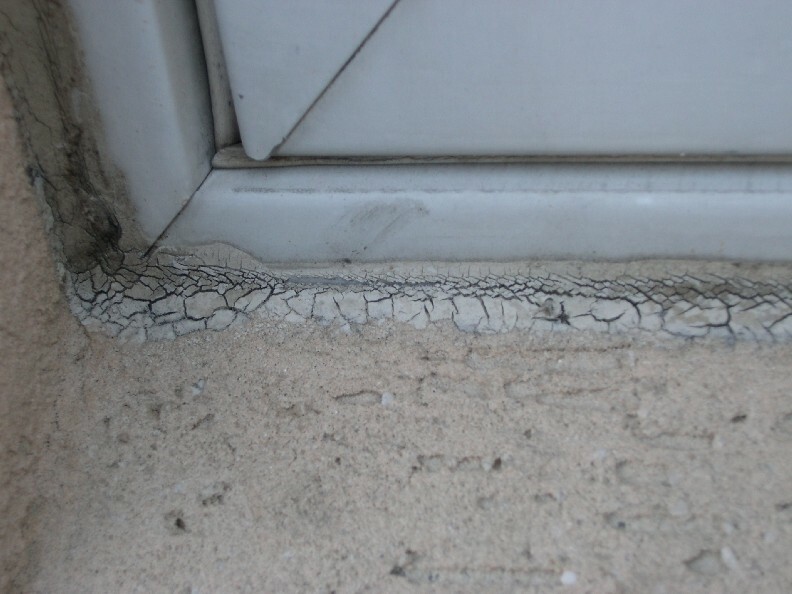 Check to make sure the caulk is still flexible and is sealing any gaps between window/door frames and exterior walls. This ensures the warm air stays inside the building during the winter and seals the exterior building envelope from water penetration. For added energy savings, check the weather stripping at all exterior door frames to make sure it's still in place and serving its intended purpose. Remember windows and doors with bad weather stripping are the #1 cause of drafts in the winter. Perform a roof inspection. Inspect low-sloped built-up and membrane roofs as well as the higher sloped shingled roofs. Look for areas where ice dams may have formed. These prevent roof drains and scuppers from working properly and can lead to dangerously heavy roof loads and create hazardous falling ice as dams melt and break up. 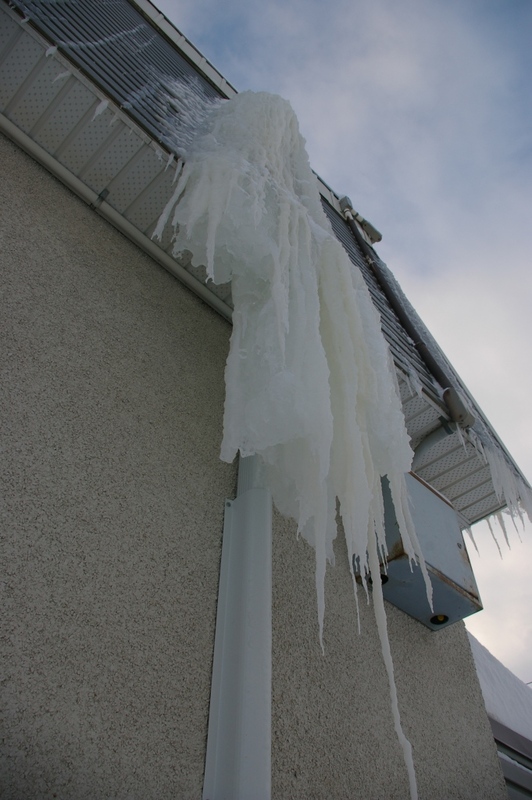 Identifying these areas early and removing ice dams can save costly repairs or worse down the road. Still scrambling with last minute preparation? Call our sales and operations team at (800) 227-3016, and get on the schedule before it's too late. 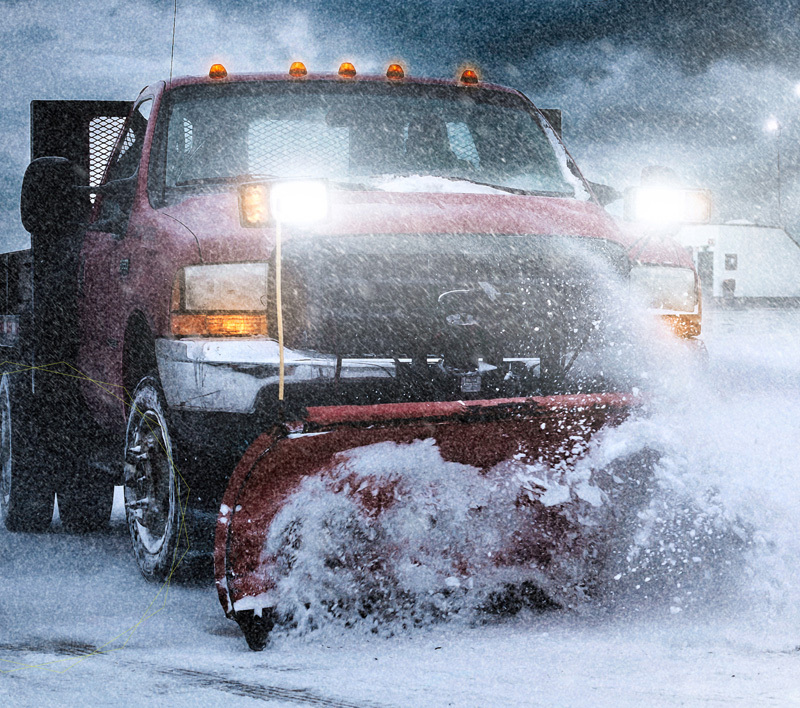 At Springwise, we have the expertise to deliver proactive and strategic snow removal services that decrease liability, improve wintertime curb appeal, save time and money, free up resources and manpower, and ensure safe traversing for all customers, employees, guests, and visitors of your facility. 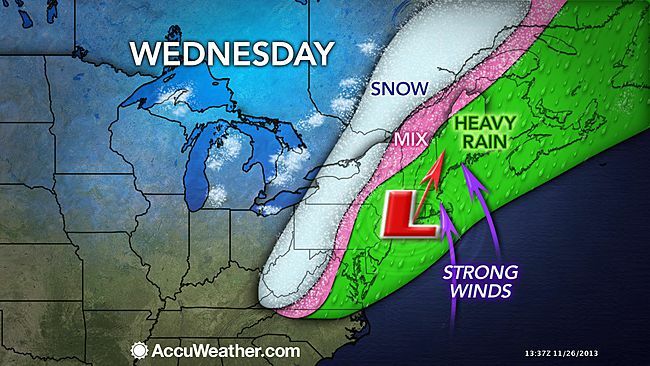 A major storm with snow and high winds will hit the Northeast hard on Wednesday with ripple potential effects throughout the weekend. The timing of the storm could not come at a worst time with AAA projecting 43.4 million travelers during the Thanksgiving holiday weekend. "The Wednesday before Thanksgiving will be the busiest single day of travel with 37 percent of travelers departing for trips Nov. 27," AAA stated in a press release. While the majority of the Northeast will be spared from major snowfall accumulations, some areas of New York, Pennsylvania possibly the Virginia's are expected to have snowfall totaling 6"-12." 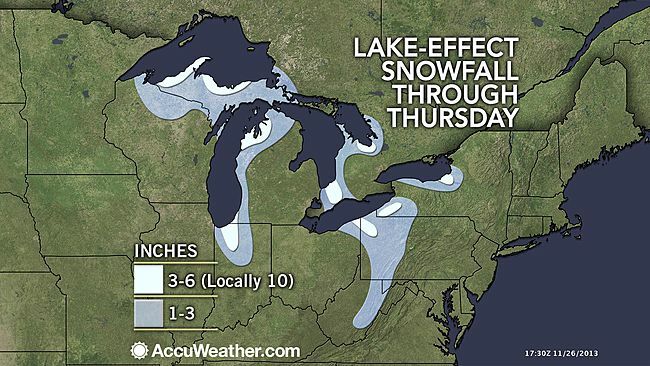 For those with stores in the lake effect snow bands, the outlook could be even more grim for holiday shopping. 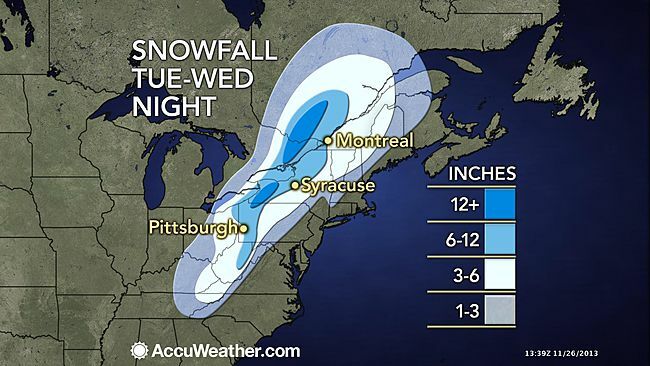 These areas are expected to continue to get hit with snow through Thursday and into Friday. 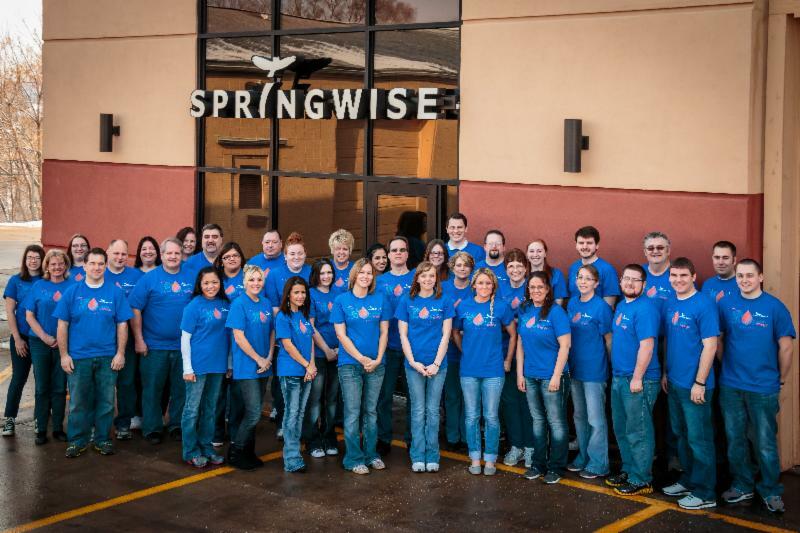 If you are a current Springwise customer you can rest easy as we are prepared for the worst and hoping for minimal impact on the shopping season. All crews are on standby with equipment and manpower ready to mobilize, and in some cases already have. Snow Operations Command protocols in effect for this major event. Many of the same crews and equipment that handled the Halloween blizzard of 2012 are in place with enhancements made as identified from this major storm last year. Tried and True crews, dispatchers, triage coordinators and managers working this storm. Snow is our largest service line, it's what we have done since 1969 and being located in South Bend, IN we get our fair share of it (averaging nearly 80" a year). 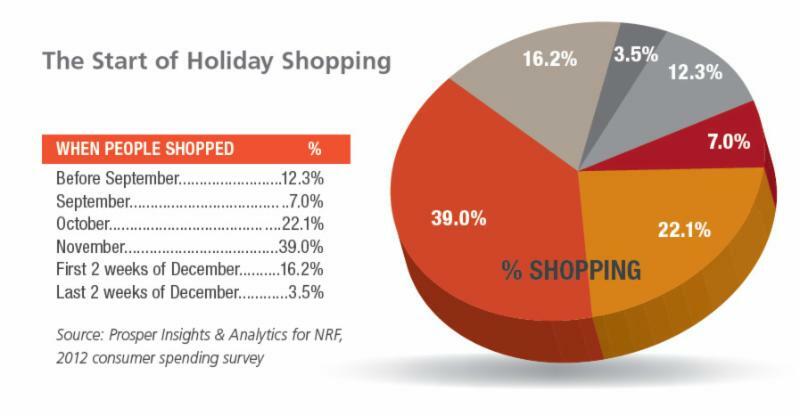 The holiday season, defined by the National Retail Federation (NRF) as sales in the months of November and December, is the biggest time of year for retailers of all shapes and sizes, and can account for as much as 20-40%of a retailer's annual sales. 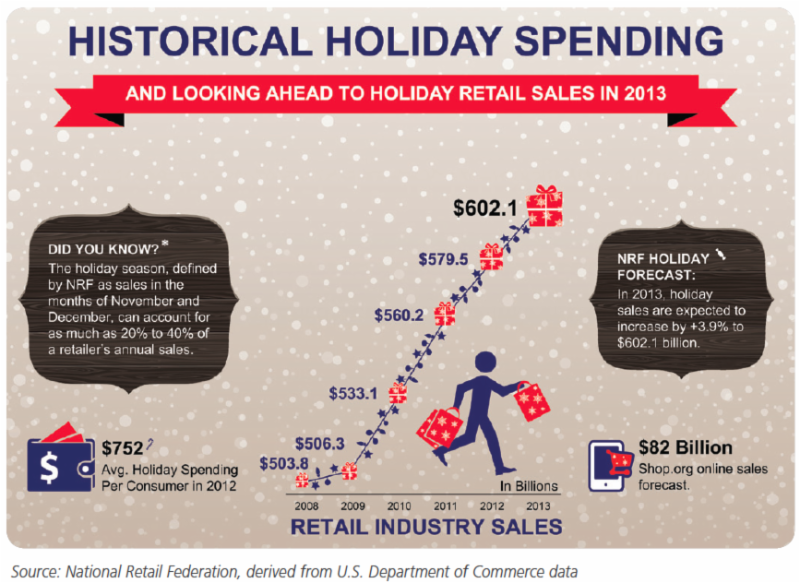 This year, the NRF estimates that holiday sales will increase 3.9% to $602.1 billion. Holiday sales estimates are often viewed as a solid indication of the overall health of consumers' financial stability - decreasing during times of economic uncertainty and increasing during a thriving economy. The average increase in holiday sales for the past 10 years is 3.3%. Though many shoppers wait until the last minute to complete their holiday shopping, a large number of Americans say they prefer to shop for holiday merchandise while simultaneously picking out pumpkins and costumes. According to NRF research, about 40% of shoppers begin shopping before Halloween each year. For more information from the NRF about the 2013 Holiday season, click here. To download a copy of their 2013 Retail Holiday Survival Kit, click here. Let us help you mitigate the risks and liabilities that come along with increased customer traffic, cold weather and ramped up operations, by entrusting our expert field inspectors with the task of evaluating your property and highlighting areas requiring attention. Our field inspectors do all the work in compiling information regarding the existing status and future needs of your properties, facilities, and assets. 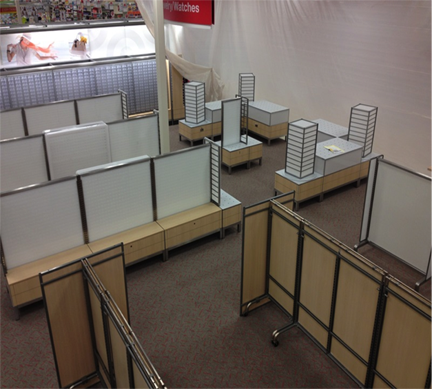 They can also assist in evaluating the crews performing the maintenance and repairs across all trades in your stores. This due diligence results in specific recommendations toward right outcomes that keep your properties and facilities safe, save your organization larger out-of-pocket costs, and allow for forecasted, evenly balanced resource allocation. satisfied with your current provider's stewardship in this area, put our technology, integrity, and expertise to work for your organization. 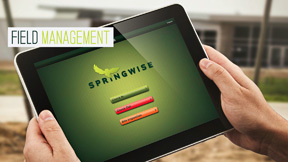 Call Springwise today at 1-800-227-3016. Inspect roof drains and clean to prevent ice dams. Assess roof capacity for snow load and develop an action plan to monitor and potentially remove excess snow. 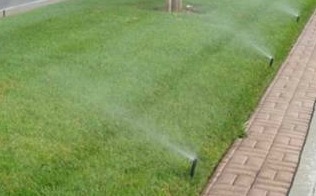 Winterize any irrigation or other water filled pipes to prevent freeze damage. Physical damage to roof that will lead to leaks during repeated freeze and thaws of winter months. Is your facility a slip away from a lawsuit? Slip and falls are one of the leading causes of unintentional injuries in the United States, accounting for approximately 8.9 million visits to the emergency department annually according to the National Safety Council. More than 60% of these cases occur indoors. Since 2001, the average payout for a slip and fall is $31,132.00, with 95% of cases being settled before jury trial. When the cases goes to jury trial, the average payout skyrockets to $189,000.00. Are you doing everything you can to protect your facility against costly slip and falls? Adequate lighting in hallways, stockrooms and restrooms. More and more, slip and falls are resulting in some type of legal action. When this occurs, the court system usually looks to find the answer to two basic questions. Did the store or personnel know about the condition that lead to the slip and fall? Should the store or personnel know about the condition that lead to the slip and fall? What's it mean for me? Simply knowing about a potential for a slip and fall to occur often times is enough to decide a court case. If you know of any hazards fix them immediately. Regular PM's protect your staff and customers from discomfort and safety concerns, limiting your risk of future lawsuits. Set up a monthly or quarterly PM now to address potential hazards in your building. They can be as paid for by having one less lawsuit, or one less emergency repair. Legal Disclaimer: This email does not constitute legal advice and is for informational purposes only. You should contact your attorney to obtain advice with respect to any particular issue or problem. Recently green products have become industry standards and ideals. However, water conservation and escalating costs have largely gone by unnoticed. Recent new developments in irrigation products have made ware use one of the easiest areas to address in the ongoing effort to go green and impact our bottom lines. This will ultimately lead to continually escalating water prices as resources become scarcer over time. 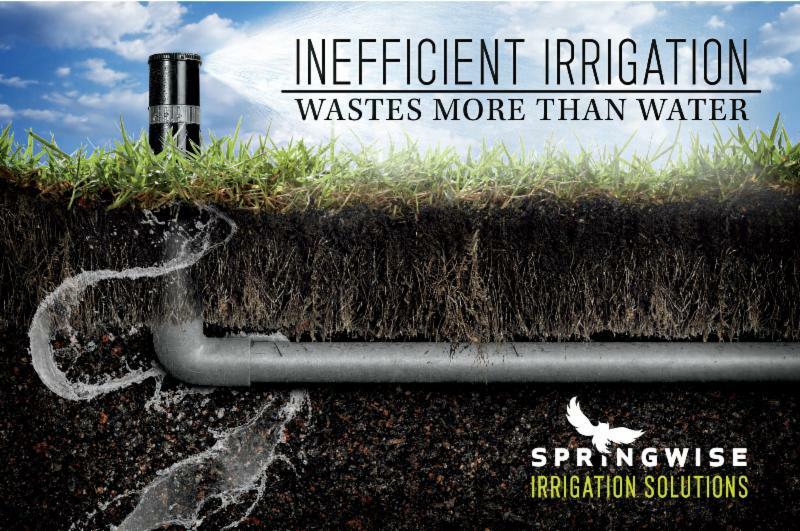 Springwise is currently performing Irrigation water conservation retrofits with an average ROI of less than 12 months! For more information, or to schedule your complimentary evaluation, contact us today at 1-800-227-3016 or simply reply to this email. With summer heat here, now is the time to ensure your HVAC equipment is working properly if you haven't done so already. Evaporator coils are a place that mold grows best. In addition to constant dampness, the supply side of the coil is in contact with outside air and the dirt that isn't caught by filters. The condenser coil degrades quickly because of dirt. It doesn't have an effect on indoor air quality, so cleaning it at the same time you clean the evaporator coil will improve energy efficiency. Coils soiled with microbial growth are hard to clean. A cleaning product with an appropriate dwell time is required to eliminate the micro-organisms. Built-up fungal growth is difficult to clean from metal surfaces, but don't use an aggressive cleaner. Keeping the coils clean from the start will cut down on the time you spend on maintenance. Antimicrobial treatments are a good option to interrupt the growth of mold. For more information, see the complete study here: "Maintaining Your HVAC System." A coil plugged with dirt and grime cannot supply proper heat or cooling transfer. This results in greater energy consumption. Industry experts estimate equipment operating with dirty coils uses up to 37% more energy than those with clean coils. Additionally, a dirty system's cooling capacity can be reduced by as much as 30%. Dirty coils increase operating pressure and temperatures that breakdown the compressor's lubricant and can result in equipment failure. A failed compressor means no cooling during peak summer heat and costly emergency repairs. Savings: PM's typically more than pay for themselves through higher efficiency and less utility overpayment during peak usage times. Risk Mitigation: Regular PM's do more than just protect the equipment, they also protect your staff and customers from discomfort and Inadequate Air Quality concerns, limiting your risk of future lawsuits.